Maker of Bellows Blown Bagpipes. Specializing In the Irish Uilleann Pipes since 1987. Welcome to the web page of B.C. Childress Bellows Blown Bagpipes. 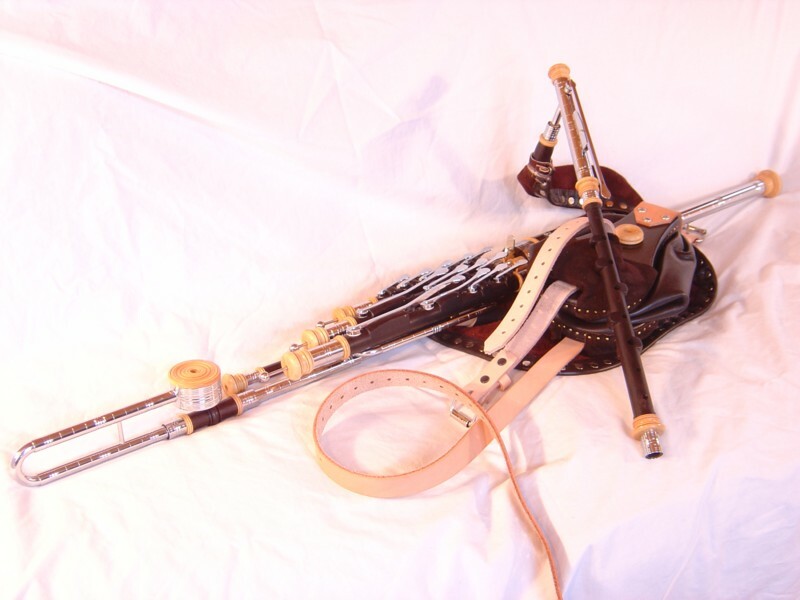 I am sure, by now, that if you have come this far in exploring the notion of learning more about the Uilleann Pipes, you must be bitten pretty hard by.......... "The Bug!" . It is a magnificent instrument, and I don't just say that 'cause I love them. I hope this site will impart useful information about the Uilleann Pipes. You may be interested in purchasing a set. Or, you may just be curious. Either way, I get the privilege of telling you all about the instrument I (we) have come to love. For those who have AIM or Skype, and a PC-Camera, I would be happy to teleconference on any maintenance issues with you. My AIM username is: BCCPipes My Skype username is: BCPipes It is usually best to call me on my cell phone to set up the conference. I am now set up to take online payments. The payment button will direct you to a form on the Paypal Website. Calculate the total price of your purchase from the Price list. Divide by 2 for Deposit amount. (It can be used for balances, too.) Enter the deposit amount on the Paypal form, that the button will direct you to. The form will direct you from there. I would advise contacting me, by phone or email, before making on line payments.